You are Looking for Online Mobile Recharge Software or Recharge Application then we can be assured deliver your best mobile recharge android apps or software with the best pricing. Our company has started Mobile Recharge Software with own brand name eReacharge Byte V5.0 that options for customer can make distributor/retailer or can obtain own recharge software with android application, we give complete b2b, b2c mobile recharge software solution for your startup or accessible online recharge business, with eReacharge Byte V5.0 development services can boost mobile recharge business make superior earning as your competitors.Specification:We have a great understanding in the development of mobile recharge software, with eReacharge Byte V5.0 you have a chance to expand own b2b, b2c, b2b2b, b2b2c mobile recharge software. We will give best market software services that supportive to rising online recharge business with a deal to make your recharge fast as your business competitors.We provide Online Mobile Recharge Application with B2B recharge software, B2C recharge software, Mobile Recharge API, White Label Mobile Recharge Software, Mobile Recharge Software With B2B2B Reseller B2B2C, Mobile Recharge Portal and Recharge Distributor.The Software is fully compatible with all latest requirements and challenges of the industry like Its supports Multi API Integrations, Multi Payment Gateways, Bill Payments, Utility Bills, Surcharge System, Android OS Platform and Any type of Web Services to attach with any kind of Web-based Software.Mobile Recharge Software Benefits:Easy recharge facility is available for India.Cyrus covers all major operators Mobile, DTH Data Card Bill PaymentCyrus Strength is strong backend support Database support.Multi Recharge Software Provides a great Value addition to Existing Website or business.Virtual wallet System - No need to maintain separate stock for each mobile Operator.No need to stock paper based recharge Coupons.No Stationary Required, as all reports are onlineWorking capital depends on your daily transactions.No minimum deposits and balance maintenance requiredCreate Unlimited Master Distributor, Distributor, Retailer and More. You are Looking for Online Mobile Recharge Portal or Recharge Application then we can assured deliver your best mobile recharge android apps or software with best pricing. Our company has started Mobile Recharge Software with own brand name eRecharge Byte V5.0 that options for a customer can make distributor/retailer or can obtain own recharge software with android application, we give complete b2b, b2c mobile recharge software solution for your start up or accessible online recharge business, with eRecharge Byte V5.0 development services can boost mobile recharge business make superior earning as your competitors. You are Looking for B2B Mobile Recharge Website or Recharge Application then we can be assured deliver your best mobile recharge android apps or software with the best pricing. Our company has started Mobile Recharge Software with own brand name eRecharge Byte V5.0 that options for a customer can make distributor/retailer or can obtain own recharge software with android application, we give complete b2b, b2c mobile recharge software solution for your startup or accessible online recharge business, with eRecharge Byte V5.0 development services can boost mobile recharge business make superior earning as your competitors. Our company has started Automatic Mobile Recharge Software with own brand name eRecharge byte V4.0 that options for a customer can make distributor/retailer or can obtain own recharge software with android application, we give complete b2b, b2c mobile recharge software solution for your startup or accessible online recharge business, with eRecharge Byte V4.0 development services can boost mobile recharge business make superior earning as your competitors. You are Looking for Mobile Recharge Master API or Recharge Application then we can assured deliver your best mobile recharge android apps or software with best pricing. Our company has started Mobile Recharge Software with own brand name eRecharge Byte V4.0 that options for a customer can make distributor/retailer or can obtain own recharge software with android application, we give complete b2b, b2c mobile recharge software solution for your start up or accessible online recharge business, with eRecharge Byte V4.0 development services can boost mobile recharge business make superior earning as your competitors. We tender White Label Recharge Software to the customers who need a replica just like an enterprise system but have a low budget. 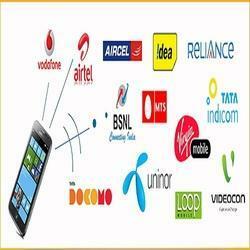 White Label Recharge Software is another inventive solution in the mobile recharge industry. Those who have high traffic volumes our white label recharge API provides perfect solution as it enables the users to book an exceptional range of travel services in one go. 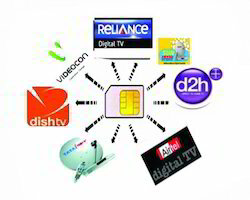 B2C Recharge Software is a Quick Easy Solution for all mobile, prepaid card and DTH recharges, Cyrus offers B2C recharge software with the latest technology, This B2C recharge Software allows for any user to recharge the mobile at any anytime for any amount with any service provider.We offer B2C Recharge Software that makes possible the recharges of the Mobile, DTH, Data Card and Bill Payment of the Mobile, Data Card, Utility etc.We offer a comprehensive IT service and software solution by using Latest Internet technologies with expertise and focusing on E-Business solution. Cyrus Recharge Solutions is the best service provider of online mobile & DTH recharge portal development in India with best prices. Cyrus Recharge is well-known name in Recharge Industry since 5+ years and grace with unique incredible Mobile Recharge Software, It's a complete ERP Solution for Recharge companies. And Cyrus has recently launched its new version v4.0 with incredible set of features with Free Recharge API along with Attractive Commissions. You are Looking for White Label Mobile Recharge Portal or Recharge Application then we can be assured deliver your best mobile recharge android apps or software with the best pricing. Our company has started Mobile Recharge Software with own brand name eRecharge Byte V4.0 that options for a customer can make distributor/retailer or can obtain own recharge software with android application, we give complete b2b, b2c mobile recharge software solution for your startup or accessible online recharge business, with eRecharge Byte V4.0 development services can boost mobile recharge business make superior earning as your competitors. You are Looking for Online Mobile Recharge Website or Recharge Application then we can assured deliver your best mobile recharge android apps or software with best pricing. You are Looking for API Based Recharge Application then we can be assured deliver your best mobile recharge android apps or software with the best pricing. Our company has started Mobile Recharge Software with own brand name eRecharge Byte V6.0 that options for a customer can make distributor/retailer or can obtain own recharge software with android application, we give complete b2b, b2c mobile recharge software solution for your startup or accessible online recharge business, with eRecharge Byte V6.0 development services can boost mobile recharge business make superior earning as your competitors. 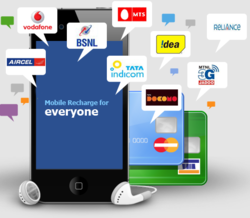 You are Looking for Online Mobile and DTH Recharge Software or Recharge Application then we can assured deliver your best mobile recharge android apps or software with best pricing. Our company has started Mobile Recharge Software with own brand name eRecharge Byte V4.0 that options for a customer can make distributor/retailer or can obtain own recharge software with android application, we give complete b2b, b2c mobile recharge software solution for your start up or accessible online recharge business, with eRecharge Byte V4.0 development services can boost mobile recharge business make superior earning as your competitors. We offer for Multi Recharge Software too, which is proficient enough in reducing your operating cost and reduces hassles of buying and maintaining many mobile phones and also maintaining the amount from different network operators. 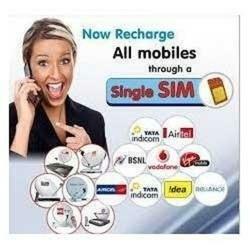 We provide many recharge facilities in respect of all the network service providers. Cyrus offers a strong base for all those who want to establish or grow their online recharge business. 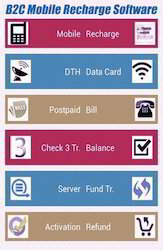 Cyrus is providing the multi recharge solution for Single SIM Multi Recharge Software for all the Operators services Like: Prepaid, Postpaid, DTH, Data-Card, landline. For a Single SIM Multi Recharge Business companies have to set up the hardware for Lapu Recharge SIM, GSM Modem and CDMA modem for this system. 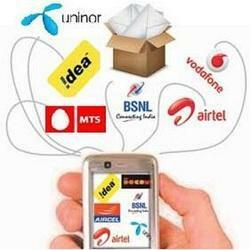 Companies generally use Modem based application for higher margins given by recharge operators. Cyrus Recharge is well-known name in Recharge Industry since 5+ years and grace with unique incredible Mobile Recharge Software, It's a complete ERP Solution for Recharge companies. And Cyrus has recently launched its new version v5.0 with incredible set of features with Free Recharge API along with Attractive Commissions. Cyrus Recharge Solutions is the best service provider of Lapu Recharge Software with latest features at an affordable price in India.Cyrus Recharge is well-known name in Recharge Industry since 5+ years and grace with unique incredible Mobile Recharge Software, It's a complete ERP Solution for Recharge companies. And Cyrus has recently launched its new version v5.0 with incredible set of features with Free Recharge API along with Attractive Commissions.We offer a comprehensive IT services and software solution by using Latest Internet technologies with expertise and focusing on E-Business solution. Cyrus Recharge Solutions is the best service provider of Mobile Recharge Software with the latest features at an affordable price in India. 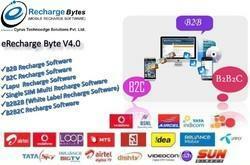 eRecharge Bytes is extremely reliable, Secure and now a days with a Renowned Branded Product in Recharge industry with more the 700 + Active clients with more than 2 Lac + Retailers / Distributors, Cyrus Recharge Software is compatible with Multiple Mobile Recharge API, Lapu System API, Offline SMS based Recharges, Android Apps, Multiple Payment Gateways, Tariff Plan and Fast operator Fetch. 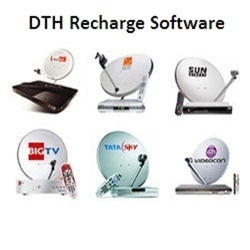 You are Looking for DTH Recharge Software or Recharge Application then we can be assured deliver your best mobile recharge android apps or software with the best pricing. Our company has started Mobile Recharge Software with own brand name eRecharge Byte V5.0 that options for a customer can make distributor/retailer or can obtain own recharge software with android application, we give complete b2b, b2c mobile recharge software solution for your startup or accessible online recharge business, with eRecharge Byte V5.0 development services, can boost mobile recharge business make superior earning as your competitors. we give complete b2b, b2c mobile recharge software solution for your startup or accessible online recharge business, with eRecharge Byte V6.0 development services, can boost mobile recharge business make superior earning as your competitors. You are Looking for SIM Based Recharge Software or Recharge Application then we can assured deliver your best mobile recharge android apps or software with best pricing. You are Looking for Prepaid and Postpaid Multi Recharge Software or Recharge Application then we can assured deliver your best mobile recharge android apps or software with best pricing. 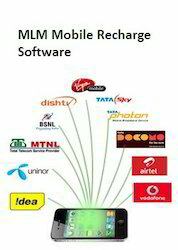 Cyrus Recharge Solutions is the best service provider of MLM Mobile Recharge Software with the latest features at an affordable price in India. Cyrus Recharge is a well-known name in Recharge Industry since 8+ years and grace with unique incredible Mobile Recharge Software, It's a complete ERP Solution for Recharge companies. And Cyrus has recently launched its new version v5.0 with an incredible set of features with Free Recharge API along with Attractive Commissions. We offer comprehensive IT services and software solution by using Latest Internet technologies with expertise and focusing on E-Business solution. You are Looking for Multi Recharge Website or Recharge Application then we can assured deliver your best mobile recharge android apps or software with best pricing. The fast and easy software solution for your entire mobile business like networks, prepaid data card, mobile, and DTH recharges creates here. Our B2B and B2C Mobile recharge software or portal provide only the most excellent through the newest software and advanced technology here. Online Recharges can be done anyplace for any customer at any instant for any quantity and that as well, for any supplier. It now cannot acquire better than this! 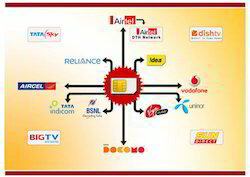 So many choices are all accessible through a single SIM multi recharge. Incredibly Easy B2B and B2C Solution are given by Cyrus Technoedge. Cyrus Recharge Solutions is the best service provider of Mobile Recharge API Software with latest features at an affordable price in India. Cyrus Recharge Solutions is the best service provider of Online Recharge Software Development with the latest features at an affordable price in India. You are Looking for Multi Mobile Recharge System or Recharge Application then we can be assured deliver your best mobile recharge android apps or software with the best pricing. 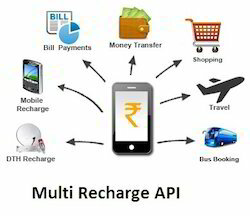 Cyrus Recharge Solutions is the best service provider of Multi Recharge API with the latest features at an affordable price in India. Cyrus Recharge is a well-known name in Recharge Industry since 8+ years and grace with unique incredible Mobile Recharge Software, It's a complete ERP Solution for Recharge companies. 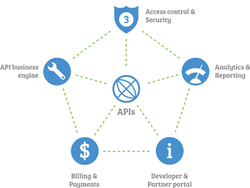 And Cyrus has recently launched its new version v5.0 with the incredible set of features with Free Recharge API along with Attractive Commissions.We offer a comprehensive IT service and software solution by using Latest Internet technologies with expertise and focusing on E-Business solution. Cyrus Recharge Solutions is the best service provider of Online Recharge API Software with latest features at an affordable price in India. You are Looking for Online Mobile Recharge API Bill Payment Solution then we can be assured deliver your best mobile recharge android apps or software with the best pricing. Our company has started Mobile Recharge Software with own brand name eRecharge Byte V4.0 that options for a customer can make distributor/retailer or can obtain own recharge software with android application, we give complete b2b, b2c mobile recharge software solution for your startup or accessible online recharge business, with eRecharge Byte V4.0 development services can boost mobile recharge business make superior earning as your competitors. Cyrus Recharge Solutions is the best service provider of Mobile Recharge API Portal with latest features at an affordable price in India. Cyrus Recharge Solutions is the best service provider of Mobile Recharge API Software with latest features at an affordable price in India.Cyrus Recharge is well-known name in Recharge Industry since 5+ years and grace with unique incredible Mobile Recharge Software, It's a complete ERP Solution for Recharge companies. And Cyrus has recently launched its new version v5.0 with incredible set of features with Free Recharge API along with Attractive Commissions.We offer a comprehensive IT services and software solution by using Latest Internet technologies with expertise and focusing on E-Business solution. Cyrus Recharge Solutions is the best service provider of Multi Recharge Portal development with latest features at an affordable price in India. eRecharge Bytes is extreme reliable, Secure and now a days with a Renowned Branded Product in Recharge industry with more the 1000 + Active clients with more than 2 Lac + Retailers / Distributors, Cyrus Recharge Software is compatible with Multiple Mobile Recharge API, Lapu System API, Offline SMS based Recharges, Android Apps, Multiple Payment Gateways, Tariff Plan and Fast operator Fetch. You are Looking for White Label Recharge API or Recharge Application then we can be assured deliver your best mobile recharge android apps or software with the best pricing. Cyrus Recharge Solutions is the best service provider of Single SIM recharge API with latest features at an affordable price in India. 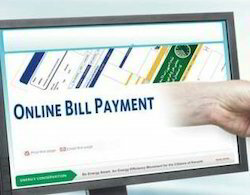 Cyrus Recharge Solutions is the best service provider of Utility Bill Payment Portal with latest features at an affordable price in India. You are Looking for B2C Mobile Recharge Website or Recharge Application then we can be assured deliver your best mobile recharge android apps or software with the best pricing. Aadhaar Pay is a payment system which allows merchants to collect payments from a customer using his Aadhaar number and biometric authentication. The Aadhaar seeded account of the customer gets debited and merchant account gets credited. Aadhaar Enabled Payment System (AePS) is a system developed by the National Payments Corporation of India (NPCI) that allows people to carry out financial transactions on a Micro-ATM by furnishing just their Aadhaar number and verifying it with the help of their fingerprint/iris scan. People do not have to mention their bank account details to carry out these transactions. With the help of this payment system, people can send funds from one bank account to another simply through their Aadhaar numbers. 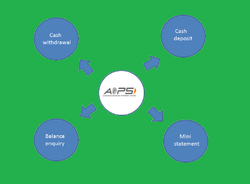 As the system works on a centralised server, people can send money from their account to any account irrespective of the bank in which the receiver’s account is operated. Cyrus is one of the best Pan card application software & API solution provider which are offering pan card software service extremely affordable. 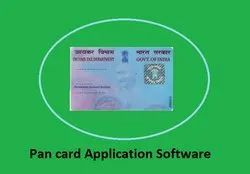 PAN card application can be processed through eKYC. Cyrus Recharge offers Aadhaar Enabled Payment System Software which are connected with the AEPS of NPCI and supports transactions from one Aadhaar linked the account to another routed through Aadhaar Enabled device, CBS and UIDAI. Our application is hosted as a part of financial transaction switch of the bank and is seamlessly integrated with the CBS application. 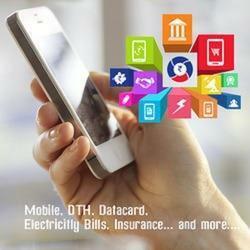 Looking for “Mobile Recharge Software”?